John Baptist is responsible for many changes in education, things that we take for granted today. But education was not his first choice for a career. Born in Rheims, France, in 1651, he was only 11 when he decided to become a priest. He received the best education and, with his family connections, everyone believed that he would become an important person in the Church, perhaps even a bishop. John was ordained a priest in 1678 and was assigned to the cathedral in Rheims. One day, he met Arian Nyel, a man from another part of France who had opened four schools for poor boys. In those days, only wealthy children could afford an education. Nyel convinced John Baptist that he must establish schools for poor boys in Rheims. John’s first school attracted so many students that a second school had to be started. But John was disappointed with the teachers. They were not well educated and were often cruel to the children. It is said that he fired all of them and began to train new teachers who would do a better job. 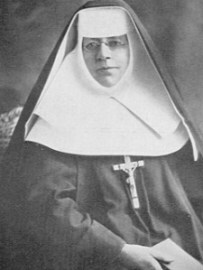 Soon he formed a religious community called the Brothers of the Christian Schools. They were the first religious order established to educate the poor. John’s teachers taught in new ways. They presented their lessons in French—the language of their students. Up to then, all children were educated in Latin. John’s teachers taught the children in age-level groups, like the grade levels we have today. Before John began this tradition, students were taught one-on-one by a tutor. John’s schools also helped their students to learn a trade so they could support themselves and a family after they completed their education. John founded a college for the training of teachers. Every teacher trained by John and every Brother of Christian Schools had a mission: to help the students come to know Christ and to teach the students to live their Christian faith in their daily lives. He decided that only religious Brothers would teach in his schools, since men ordained to the priesthood might be distracted by their other sacramental obligations. 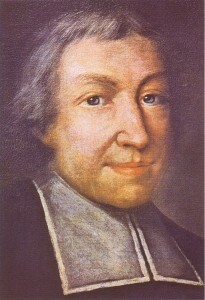 There were many hardships for John Baptist de la Salle over the early years as his congregations and schools grew, but his faith in God kept him from discouragement. 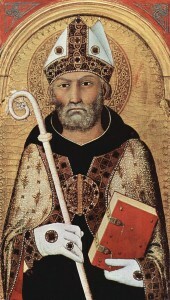 He died in 1719 and was canonized in 1900 by Pope Leo XIII. St. John Baptist de la Salle is the patron saint of teachers, and there are more than 1,000 schools in 84 countries that exist because of his work and faith.